Jen has worked in the medical device community since 1991 in a variety of packaging related roles – packaging/labeling/sterilization engineer (in both operations and R&D roles), flexible packaging sales, and in management – for both labeling and packaging engineering. While Jen earned her undergraduate degree in Manufacturing Systems Engineering at Kettering University (Flint, MI), she came to love packaging through her co-operative work experience at CPI/Guidant. Jen furthered her education by obtaining a Master of International Management degree from St. Thomas University (St. Paul, MN). Jennifer has been a Certified Packaging Professional through Institute of Packaging Professionals since 2002, obtaining lifetime CPP status in 2012. 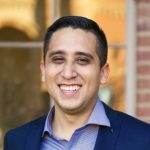 Henry Castillo is the Manager of Packaging Commercialization at Niagara Bottling, a privately held beverage company based in Ontario, California. Henry began his career at Niagara Bottling in 2012 and led the design, development, and commercialization of Niagara’s lightweight bottle designs throughout the US. Since then, Henry continues to lead design developments and commercialization for all of Niagara’s products in the U.S and international markets. 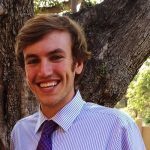 Henry is a graduate from Cal Poly San Luis Obispo, where he received his BS in Industrial Technology with a minor in Packaging. Jay Crespo is a California and San Francisco Bay Area native. He received his B.S. IT from Cal Poly in ‘95 and has held many roles within the Packaging Engineering field. Apart from a 2-year hiatus writing software, Jay has worked in Consumer Electronics, Life Science, Medical Device and Retail Hardlines industries and fully embraces the diverse experiences and technical solutions each one has bestowed. Jay is named in thirteen packaging related US Patents and is currently a Packaging Engineering Manager at Amazon’s Lab126 division. At Amazon, he dabbles in corporate packaging challenges, oversees his own programs as well as a talented team of Packaging Engineers in the US and China. Nora Crivello is currently the Vice President and General Manager of Westpak’s San Jose Laboratory. 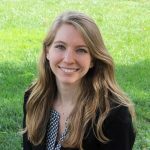 Nora’s career at WESTPAK began as a Test Engineer 1 soon after graduating with a BS in Biological Studies from California Lutheran University in 2002. During the last 16 years, Nora has provided exceptional service and leadership to WESTPAK, its clients, and the packaging industry through the many positions she has held including Test Engineer II, Quality Manager, VP of Operations and Vice President. She currently represents Westpak as a voting member on the International Safe Transit Association Advocacy Council. Nora earned her MBA from Pepperdine University in 2014 with induction to the Beta Gamma Sigma honor society. Nora’s weekends are spent with her husband and two children, Michael and Avery exploring the beauty of California. 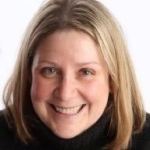 Rachel Gibbons’ experience in manufacturing, marketing & innovation spans more than 20 years. She holds an MBA from Kellogg School of Management, Northwestern University with focus areas in strategy and innovation management. Her passion is discovering customer insights, and developing solutions that fulfill unmet market needs. 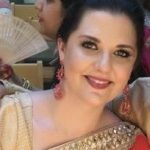 Rachel began her career in the packaging industry applying skills in LEAN and Six Sigma to improve supply chain operations. From there, she went on to work with software development and e-commerce companies that develop ways to optimize production, logistics and fulfillment operations with state of the art software systems. She returned to packaging manufacturing with a focus on technology that extends the life of packaging, increases sustainability, optimizes cost and at the same time improves performance. 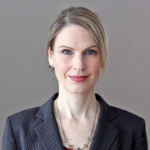 In her role as the global business director, Rachel partners with stakeholders around the world in the packaging and supply chain segments to develop solutions that improve the industry. Catlin Khamashta graduated from Cal Poly in 2016 and currently works as a Technical Program Manager for a sustainable molded fiber and rigid box manufacturer, Golden Arrow. She works with popular consumer electronics companies in order to help reduce their packaging waste by implementing an eco-friendly total packaging solution. Rebecca Kisch received her undergraduate degree in Industrial Technology, with a minor in Packaging, from California Polytechnic State University. After graduation, Rebecca worked as a Packaging Engineer at Moquin Press, where she designed custom packaging and assisted in streamlining packaging production processes. She now works as the Lead Packaging Project Manager at Uneka Concepts, where she controls and executes packaging design and manufacturing projects in conceptualization, planning, and development with cross-functional teams for domestic and international clients. Additionally, she manages suppliers on a global scale to ensure material and production readiness, as well as assist in the assurance of overall quality during packaging production. 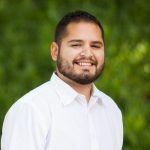 Paul, originally from Los Angeles, graduated from Cal Poly San Luis Obispo with a Bachelor of Science degree in Industrial Technology and a minor in Packaging in June 2012. Since then he has been working as a packaging engineer at Amazon Lab126. His focus has been around consumer electronics device packaging, setting up print on demand labeling systems across contract manufacturers, and other supply chain related roles. Paul also has two design patents and one utility patent. 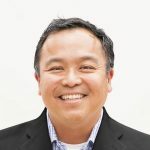 He currently holds a board position in the IOPP Golden Gate chapter as VP of Events/Programs, sits on the Cal Poly Packaging Advisory Board, and is the President of the Cal Poly Packaging Alumni Association. Jill Martin is a fellow in the Packaging and Specialty Plastics business of The Dow Chemical Company. 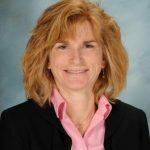 For the past 23 years, she has served in both research and development and technical service for the North America Performance Plastics business. Her responsibilities include new product development and technology exploration focusing broadly on opportunities in flexible and rigid packaging. Past responsibilities have included non-woven fibers, hygiene films and sports flooring, with an emphasis on artificial turf systems. Her most recent role is in the Packaging Solutions group working with downstream value chain partners. Martin is an active member of the Society of Plastics Engineers and past chair of the South Texas’ division’s International Polyolefins Conference. She received her Bachelor’s of Science Degree in Chemical Engineering from Carnegie Mellon University in Pittsburgh and a Doctorate in Polymer Engineering and Science from Case Western Reserve University in Cleveland, Ohio. 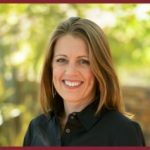 She holds over 20 patents and has presented at more than ten conferences on a range of topics from medical devices to innovation in flexible packaging. 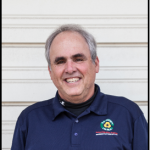 Mike di Milo is the education program coordinator for the San Luis Obispo County Integrated Waste Management Authority (IWMA). This is his 21st year of providing school and public education programs. Each year Mike and his staff deliver about 800 recycling presentations and field trips to landfills and recycling facilities on the central coast. Mike also works with a team of commercial recycling specialists who help businesses expand and improve their recycling and compost activities. Mike graduated from Cal Poly San Luis Obispo, with a degree in Natural Resources Management, and has lived in San Luis Obispo since 1978. Scott Mitchell is the Market Development Manager for Stand Up Pouches and Bags. In this role, he is also responsible for contact manufacturing and commercial agreements. His packaging career began with Printpack Atlanta in 1989 where he worked and advanced through various manufacturing roles. In 1998, Scott relocated to Querétaro, Mexico to support opening a new production facility. From 2000 to 2002, he worked at our Shreveport, LA plant and then moved back to Georgia where he was Plant Manager in the Villa Rica I facility. While in Villa Rica, he facilitated a major initiative to re-capitalize the plant where we replaced all of our equipment with the most state of the art on the market. 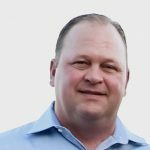 Scott earned his Bachelor’s degree in Business Management from Kennesaw State University in 2003 and his MBA from Auburn University in 2012. 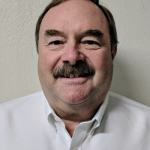 Mike Ovesen is currently Strategic Accounts Manager and 31 yr. employee managing Strategic Accounts and position for annual double digit growth. Also, develop new opportunities in the marketplace with Sealed Air packaging solutions to address damage, fulfillment velocity, cube optimization while improving the customer experience. As an account executive, Victor is responsible for all sales efforts, partnership development, and account management for new and existing Specright clients. He began his career as the manager of the on-boarding and engineering services team. Prior to that he graduated from California Polytechnic State University earning his B.S. in Industrial and Packaging Technologies.